The most anticipated Baby & Infant Wear Bodega SALE event is back! 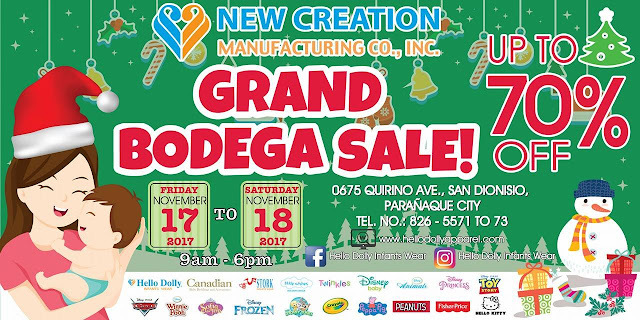 Everyone is invited to the Grand Bodega SALE of Hello Dolly Infants Wear and Baby Beddings on November 17-18, 2017 in Paranaque. Discounts of up to 70% are up for grabs!